You are currently browsing the daily archive for 09/02/2011. This barrow can be easily viewed from the road, mainly because in an act of historic vandalism, the road passes straight through it! Without the road, the mound would measure some 200 feet by 35 feet, and rises to a height of some 3 feet in places. 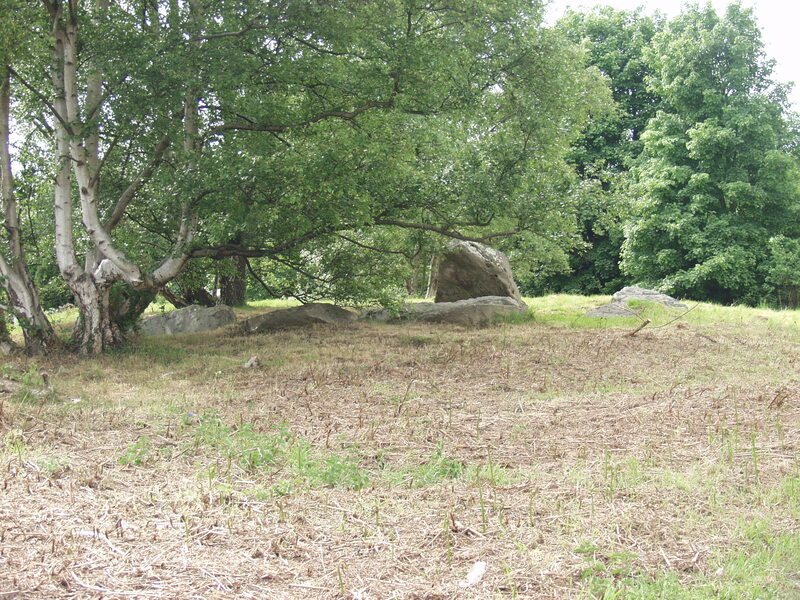 There are several megaliths at the northeast end which originally made up either a chamber or a false portal. A survey in 1981 identified that some 25 stones could still be located on all four sides of the structure, thus forming a peristalith. The mound forms a truncated wedge shape, narrowing toward the southwestern end. Just past the barrow on the right is the entrance to ‘Rose Alba’, where the Chestnuts are located. This Neolithic chambered tomb, excavated and part reconstructed, is not visible from the road and permission to view must be obtained from the landowner (see address above). A nominal fee is charged, and a tour can last up to an hour, which includes a hands-on dowsing session around the stones. A lot of mesolithic scatters have previously been found here, indicating an earlier settlement and the owner has a small collection which can be handled on request. The site consists in the main of 12 large sarsen fragments forming an oblong E-W chamber with a facade at the east end. Cremated fragments of up to a dozen bodies were excavated within the chamber. There is significant evidence that the site was disturbed in medieval times, making accurate interpretation of the site difficult. Leaving Rose Alba, turn left to return to the earlier fork, turning left on the main Trottiscliffe Road again. Follow this road, which crosses over the M20 motorway until you come to the village. After the George pub, take the first right (School Lane) and continue on into Church Lane. This leads to a T junction where the village church can be seen to the left and a signpost for Coldrum points to the right. Follow the road to the right, and after a sharp left turn, take the second right hand lane (signposted for Coldrum Long Barrow). There is a small car park here, from where you can proceed on foot. Follow the pathway directly east across a couple of fields and down a slope which can be boggy at times, until you come to a tree lined trackway. Turn right onto the trackway and in a few yards you’ll see Coldrum towering over the hedge above you to your right. 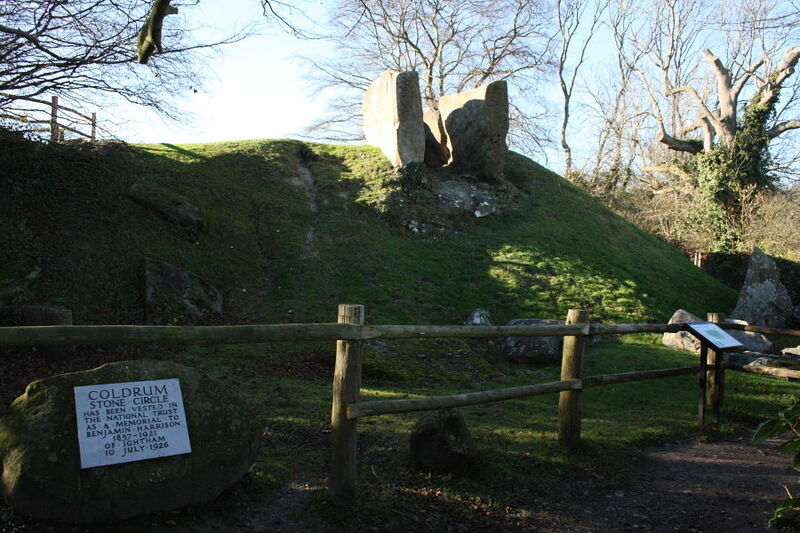 Coldrum is another Neolithic chambered tomb, but in a precarious position, sitting on top of a sharp incline. In fact, the facade and capstones have tumbled and lie scattered at the foot of the slope. 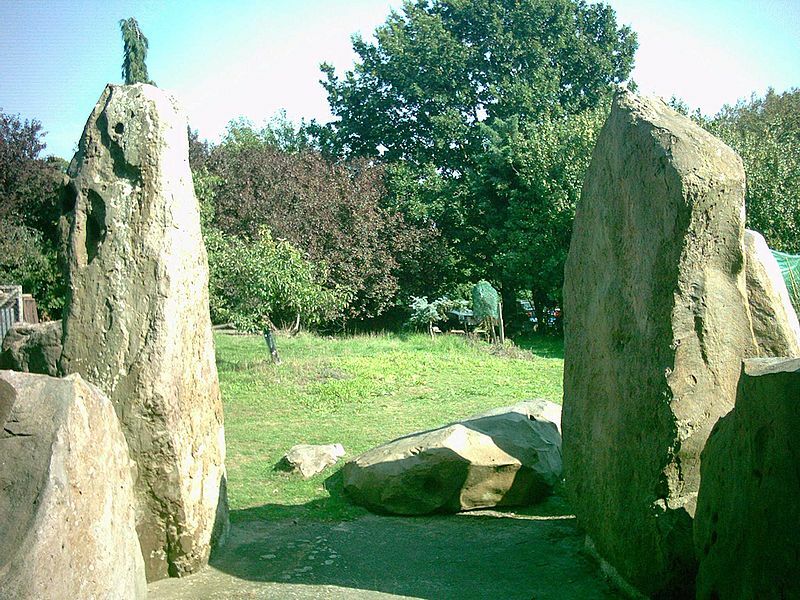 Despite this, Coldrum is the best preserved of the Megway Megaliths. The rectangular mound, approx 90 x 60 feet is oriented E/W, and is bordered by sarsens evoking visual comparisons with some of the smaller stone circles in these isles. So much so that the centre of the mound, despite being fenced off, has become a favourite picnic/camp fire spot. Indeed, evidence suggests the fencing is often vandalised and used as kindling for such fires. A nearby tree is often festooned with ‘clouties’, a practice often associated with wells and springs. The bogginess of the ground suggests springs are not too far away. 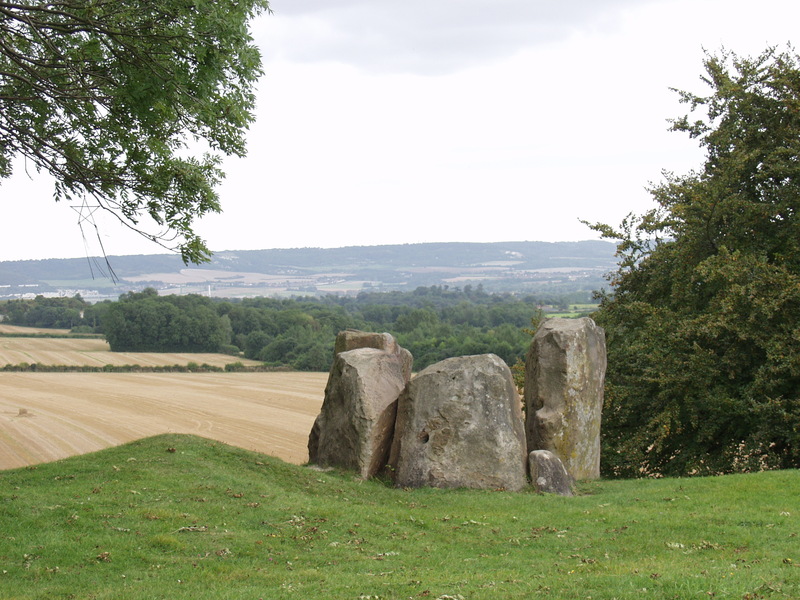 Being situated on a rise, the view to the east is extensive and for those interested in alignments, the entrance chamber would have pointed almost directly to Kit’s Coty five miles away, and visited in Part 1. Excavations at Coldrum in the late 19th and early 20th Century uncovered extensive bones of up to two dozen individuals, possibly all related. Legend suggests that a tunnel containing treasure existed between Coldrum and Trottiscliffe Church. It’s thought that attempts to find this treasure may have led to the erosion of the escarpment and the collapse of the facade stones. There is also a story of an avenue of stones connecting Coldrum and Kit’s Coty. Agriculture has doubtless destroyed any evidence of such, though it could be an interesting area to research. And thus ends our brief tour of the Medway Megaliths. A Google Map is available, showing the sites visited in both parts of this article. If you’ve enjoyed this tour please let us know in the comments, and if you’ve any ideas for future tours, please let us know those too.